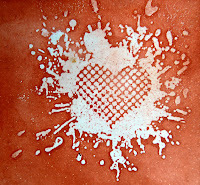 This card has come about after making lots of pieces of blended batik and I just loved this heart piece. There is a great sketch over at Inspiration Card Sketches that I wanted to have a go at and the theme at Gingersnap Creations is red and black, so I decided to combine the two to create this card. Because there was black in it I decided to follow the Halloween theme but it's a bit early for it really.The little witch is from my downloads at the Shabby Princess, papers are from my box of bits and the heart stamp is Creative Expressions. 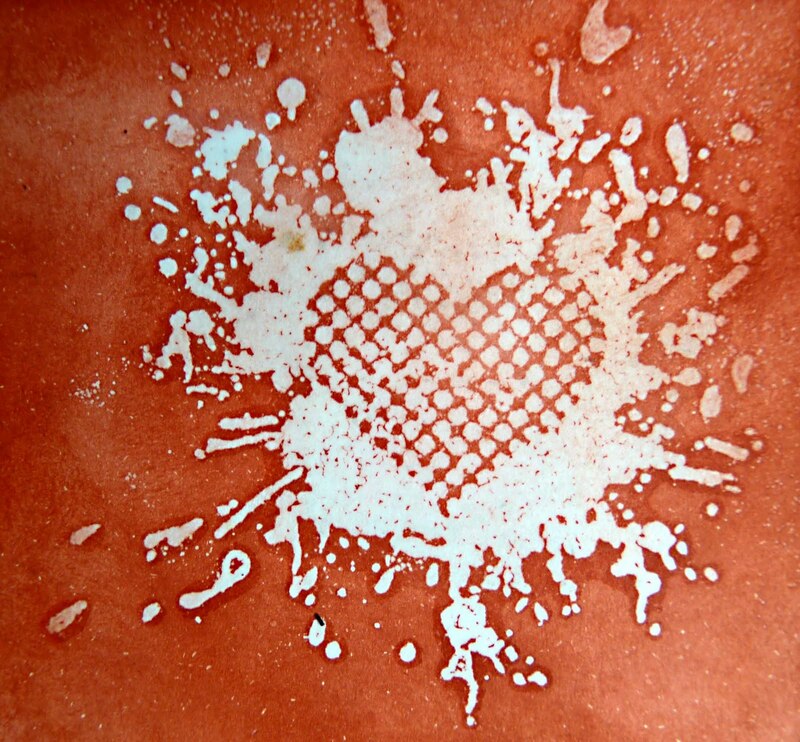 If you still haven't tried the blended batik technique - don't forget it's described by TH in his book the Compendium of Curiosities. Oh wow Brenda this is amazing! Such a gorgeous design and beautiful colours! Brenda this is gorgeous, I love it. your work is always so unique, and thats what i love about it. Very cute card! Thanks for joining us at Inspirational Card Sketches this week! You are right, that heart is wonderful. It's an adorable layout. Everything works so well together. Love the Heart and how u intepreted this week's sketch, thanks for joining us at ICS! Stunning card - love the heart - must try this technique. I love soft effect of the Batik technique. This is an eye-catching card with its seasonal colour scheme...very, very nice! This is fabulous and such a great technique! Thanks for taking the Gingersnaps Color Challenge!